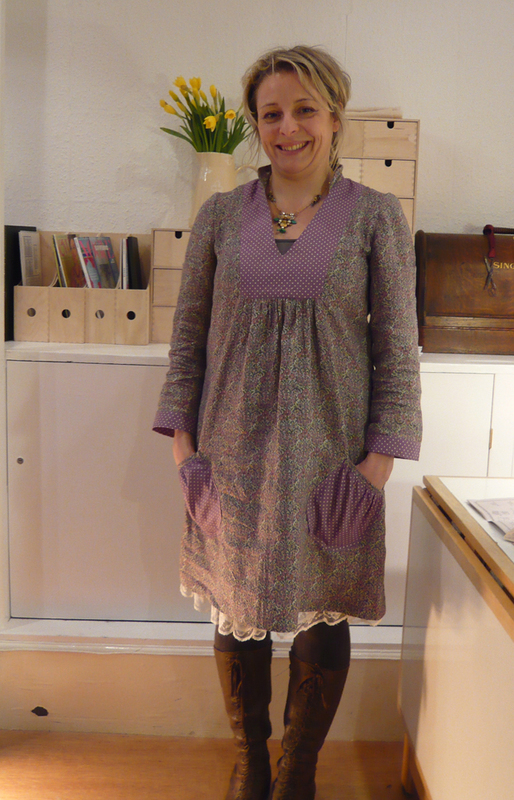 Clair has an eye for colour and pattern and chose a great combination for this frock she adapted from a Burda pattern. 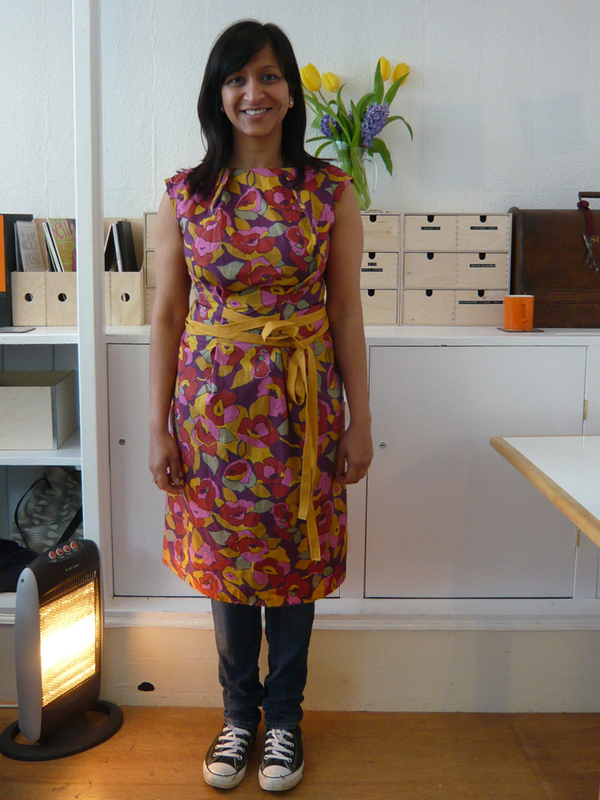 Sonia in a gorgeous frock made from a Burda pattern and lovely cotton print fabric from Ditto. Believe it or not this is the first garment Sonia has made. 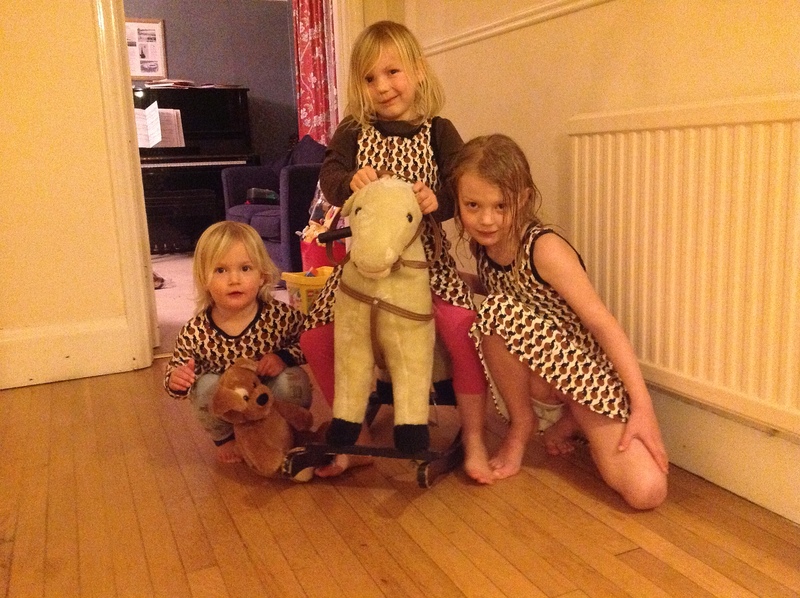 Lisa’s brood in matching jersey frocks and t-shirt! 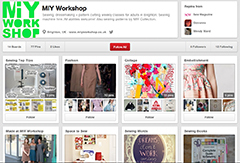 This entry was posted in MIY Workshop, Student work, Weekly classes and tagged burda patterns, ditto, dressmaking classes brighton, kids clothes, MIY Workshop, sewing classes Brighton, Wendy Ward. Bookmark the permalink.